** A-Service does not include DEF [Diesel Exhaust Fluid] for diesel vehicles. Price advertised for Service A/Service B includes all factory-required components. Please refer to your maintenance booklet for the complete list of factory-required services and details on the specific intervals for your vehicle’s year and model. ** B-Service does not include DEF [Diesel Exhaust Fluid] for diesel vehicles. Price advertised for Service A/Service B includes all factory-required components. Please refer to your maintenance booklet for the complete list of factory-required services and details on the specific intervals for your vehicle’s year and model. The Alignment includes a tire inspection, front and rear toe adjustments and test drive. Additional fee will apply to adjust caster and camber measurements [if needed with bolts] for Sprinter/Vans/Motorhome/Commercial vehicles. Are your wipers smearing or skipping across the windshield? Replace your wipers today! Wipers are specific to each Mercedes-Benz and may vary in cost due to specific features. Factory Recommended – See Advisor for details. Replace Transmission Pan Gasket, Filter and Fluid using Factory Approved Parts. Additional Fee will be added to services that use a low friction fluid – See Advisor for details. 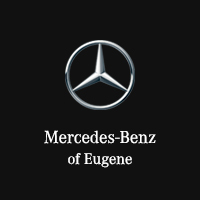 This service includes the ‘Mercedes-Benz Approved’ oil and filter (OEM) change. NOTE: This service is excluded from any service offers, coupons or service specials.